We’re excited to get our 2015-2016 season to its belated start! We’re doing two performances in February and March, with a possible third if a suitable performance space is found. On Wednesday, February 3, 2016, we’ll play on the University of Portland’s Music at Midweek series at the Mago Hunt Recital Hall. The concert is free to the public, and begins at 12:30 p.m., and lasts just under an hour. See our Upcoming Concerts page for more information. 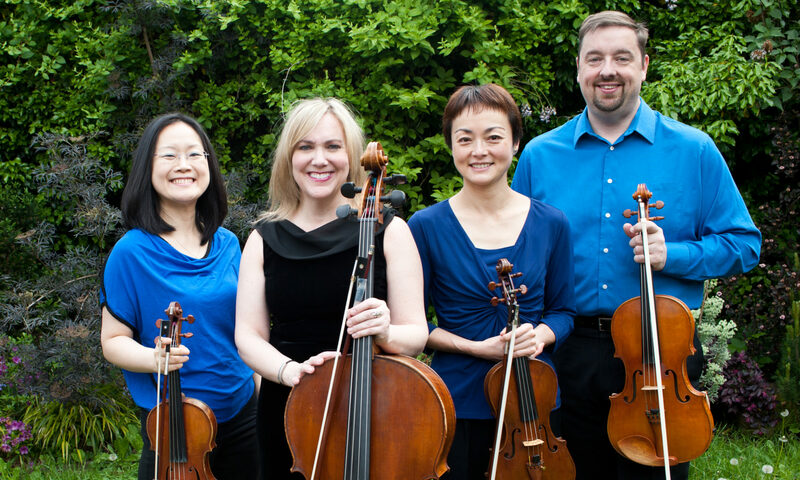 We’ll be performing Beethoven’s very first completed quartet, the Quartet in D major, Op. 18 No. 3. Then we’ll conclude the concert with Shostakovich’s String Quartet No 2 in A major, Op. 68.